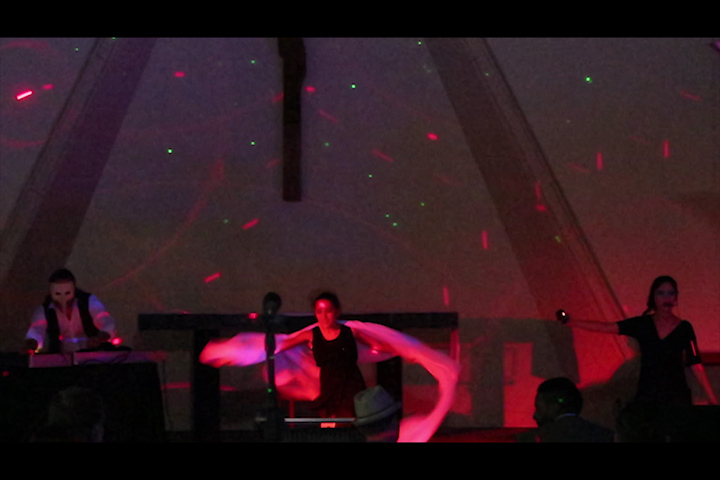 Shibeth, a metaphysical musical drama, was written by composer/multimedia artist Lawrence W. Moore for Psyche Electro-Acoustic Opera Company's inaugural production on August 26, 2017. The work features Max7 in its lighting design (which was a collaboration between multimedia artists Liza Seigido, Robert Holocheck, and Jheryl Hill), and in the live processing of the vocalist's performance. The lighting design incorporated sound reactive video, automated and sound reactive DMX PAR lights, and a DMX laser fixture. All of the interactive lighting and fixed scene changes, with the exception of the laser work, was programed in Max 7 by Liza Seigido.